When a small town police officer finds a man crawling on the side of the road, he rushes him to a hospital. Once there, strange things begin happening, including possessed killers, a strange creature, and a cult trapping everyone inside the medical facility. 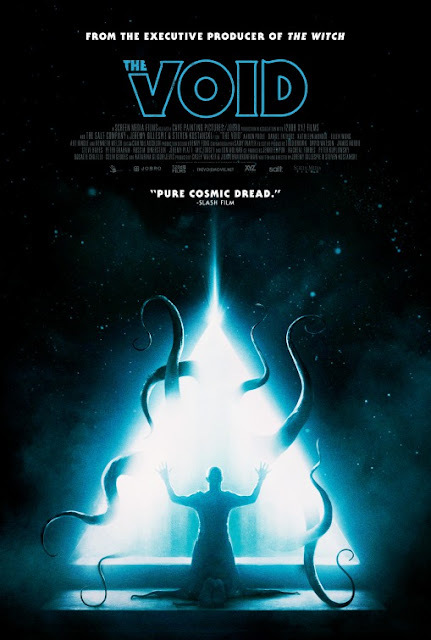 "The Void" is written and directed by Jeremy Gillespie & Steven Kostanski, who previously worked together on the film "Father's Day" from the masters of modern exploitation cinema Troma Entertainment. This film, however, is a step in a far more serious direction. 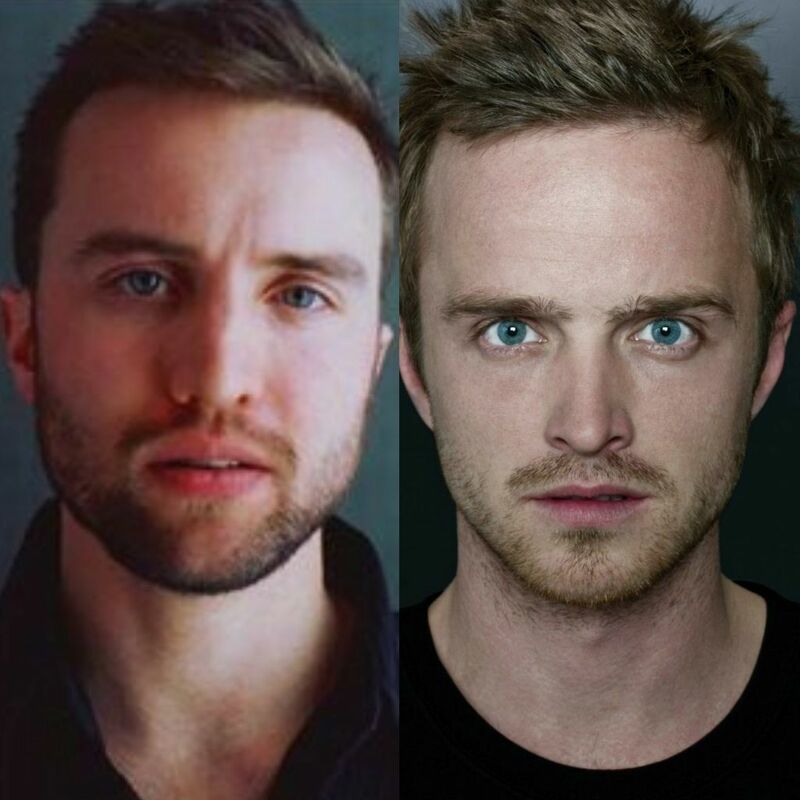 It stars Aaron Poole, who is the actor you hire when you want to hire someone like Aaron Paul, but can't afford his name brand paycheck. This is a movie very much inspired by horror flicks from the 1980's in terms of its look and feel. There are creature here with designs that feel heavily influenced by John Carpenter's "The Thing." We absolutely love that "The Void" uses practical effects to create the monster(s) and other gore elements such as the blood splats and oozing puss, which feel very authentic and look simultaneously cool and gross as hell. It always feels more convincing when actors get to interact with an actual object as opposed to CGI'ed special effects on a green screen fixed in post production. There are many chilling instances with enough tension and suspense to make the audience stare at the screen creeped out and grossed out by what's going on, possibly to the point of being vomit-inducing. Though the special effects aspects are tremendous, where "The Void" starts to suffer is in its story. There is a lot going on all at once, and unfortunately, the narrative isn't always clean. Much is left ambiguous and open for interpretation and debate, which is fine up to a point. If writers and directors leave a solid blueprint to follow, everything should be fine. However, the plot feels like it hardly made it past the general concept stage. There are a lot neat tricks and cool stuff in "The Void," but it is obviously those behind the scenes paid more attention to making sure it looked the way they wanted it rather than producing a coherent story. In the end, the disgusting visuals and expertly crafted, creepy make-up effects may be enough for many horror fans, and if they are, "The Void" is the movie for you. If you want a really gripping story with well developed characters, you may want to look elsewhere. Still, this is not a bad film in the slightest and we enjoyed it for what it is.